Payday Loans in One Hour? Do 1 Hour Payday Loans Exist? Many people ask can I get a 1 Hour Payday Loan? No, this never happens because it is not practical. When applying for your payday loan the lender must take some time to explain all the terms and conditions to you as well as get your complete approval. Even once this is completed it takes some time to process your approval and actually get your money into your bank account. Usually it takes one business day – no holidays or weekends. So, if you apply in the morning and get approved, it is likely you will receive the money the next business day. Always ask your lender, once you are approved, when you will receive the money in your account. Plan on a 1 business day turnaround for your loan (excluding holidays and weekends). 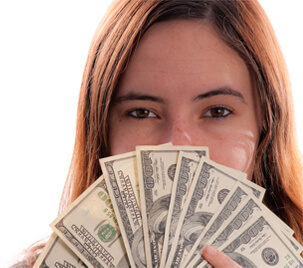 The major advantage of a payday loan is that it is available in case of any emergency. So when you need next day cash loan, after approval, you will get it if you agree to the terms of the loan. For unexpected medical emergencies, sudden bills and other unforeseen money needs a fast payday loan can be a good solution. Even if the rate of interest is unusually high you do not mind paying that much when you have an urgent need. Nobody other than you is affected in this process. There is no need to consult a finance agent to acquire your payday loan in one hour. As it is a small loan, the lending companies do not have any problem concerning security requirements. Payday loans are the best option for getting fast cash like payday loans. You can apply for it online, and the money gets deposited into your account directly. Another point worth to consider is that fast payday loans are available to nearly everyone with a bank account and a debit card, and who have a regular job. The lender will transfer the amount you ask for directly in your account, usually the next business day. Ask your lender what they can do for you and when you will receive your loan once you are approved. This kind of loan is notorious for being expensive. The interest rates/fees are usually high and the repayment time can leave a hole in your pocket. With fast payday loans, there may be a $10 wire fee that is deducted from the loan amount you receive. For example, if you request a fast payday loan for $300, the $10 fee will be deducted, and the bank wire amount you receive in your account will be $290. These wire fees vary so ask your lender first before accepting an expedited payment. So, is there any point to payday loans? Yes, but only really for a genuine emergency where there isn't any alternative. Using payday loans on a regular basis is not recommended. Keeping this option open only for certain financial emergencies is advisable.